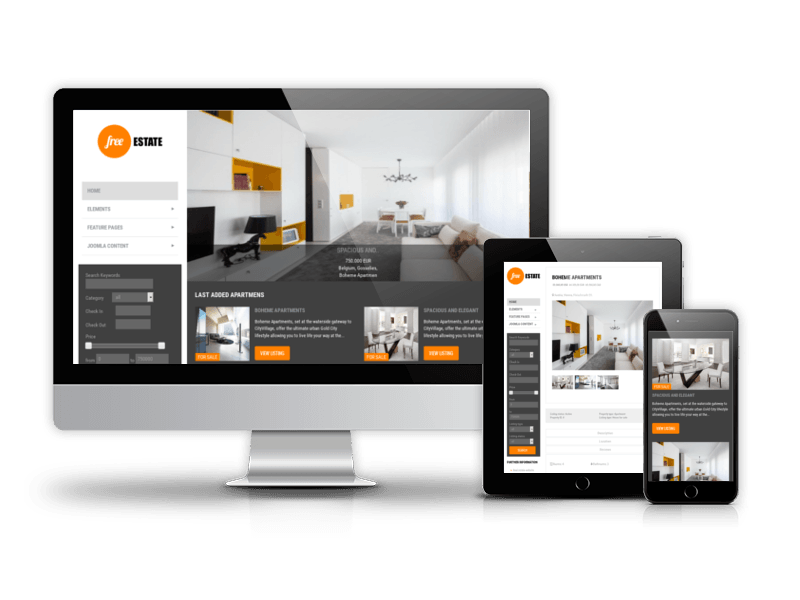 If you want professional looking website for your realty business, don't miss Eco House - fresh and clean Joomla real estate template. 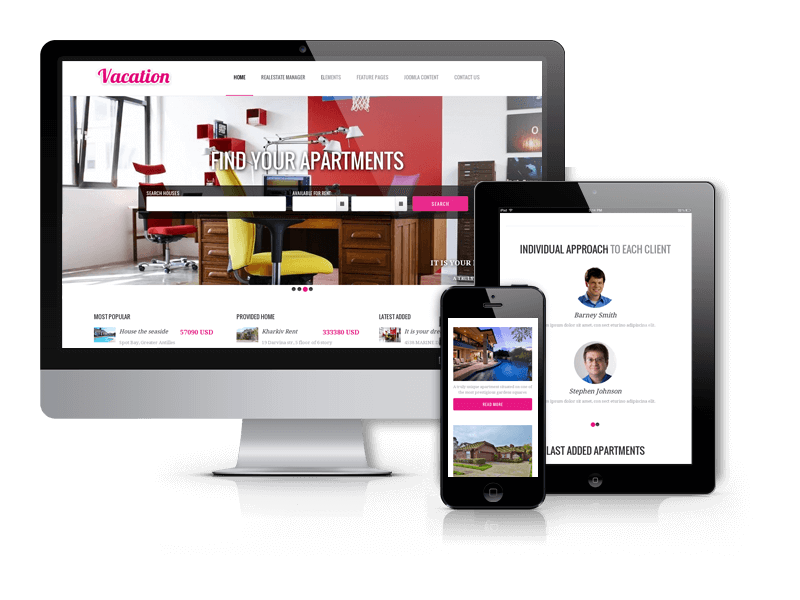 This is elegant and functional solution for real estates, vacation rentals, real estate agencies and companies as well as real estate agents and brokers. 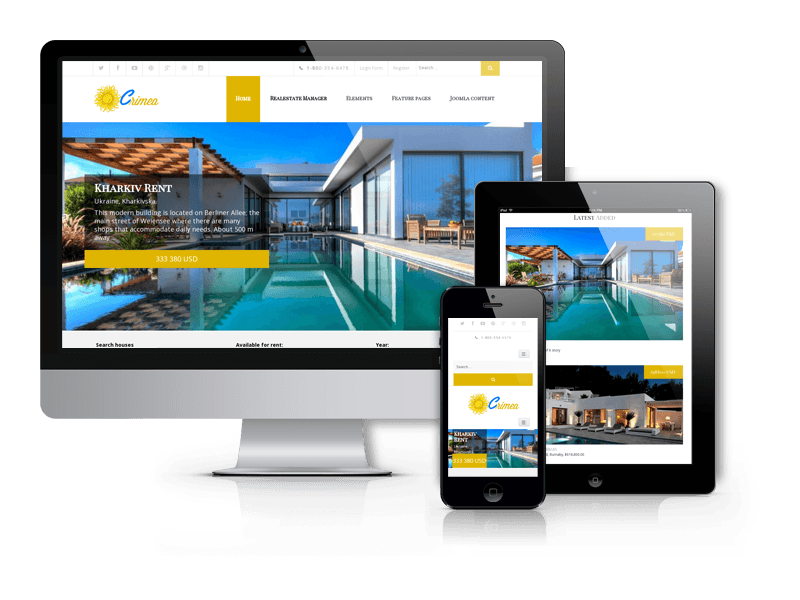 Eco House real estate template is based on Real Estate Manager, great solution for websites specialized in selling or renting property. 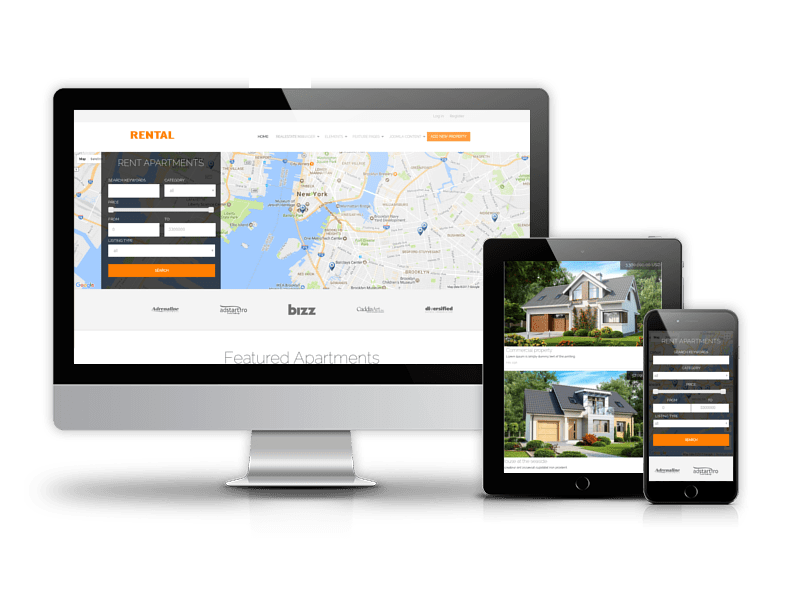 With Real Estate Manager you will have a powerful frontend and backend panels to manage your properties and also booking and buying form, Google Maps integration, advanced search for Real Estate Manager and PayPal Integration. The fully responsive layout of Eco House will provide the perfect display for your houses on all devices - desktops, smartphones and tablets. Eco House real estate template looks great on following browsers: Chrome, Firefox, Safari, Opera and Internet Explorer 9+. Save your time using Quickstart installation. It will take 5 minutes to install entire package and get the same real estate website like on demo page. All components, modules are included, designed and configurated in the Quickstart package. You only need to upload your images and replace dummy data and website ready for work. Installation and set up instructions are attached in Documentation folder. 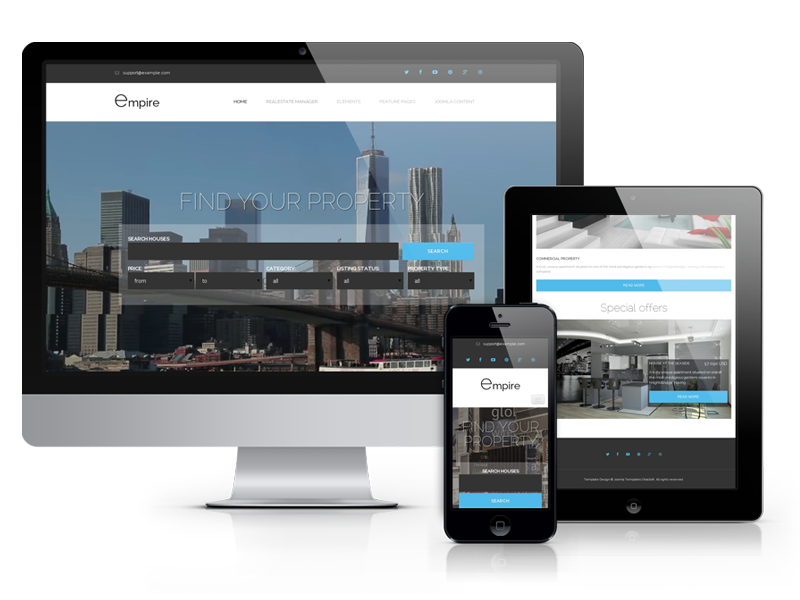 Use this responsive Joomla template to build a real estate website and make your business more profitable. 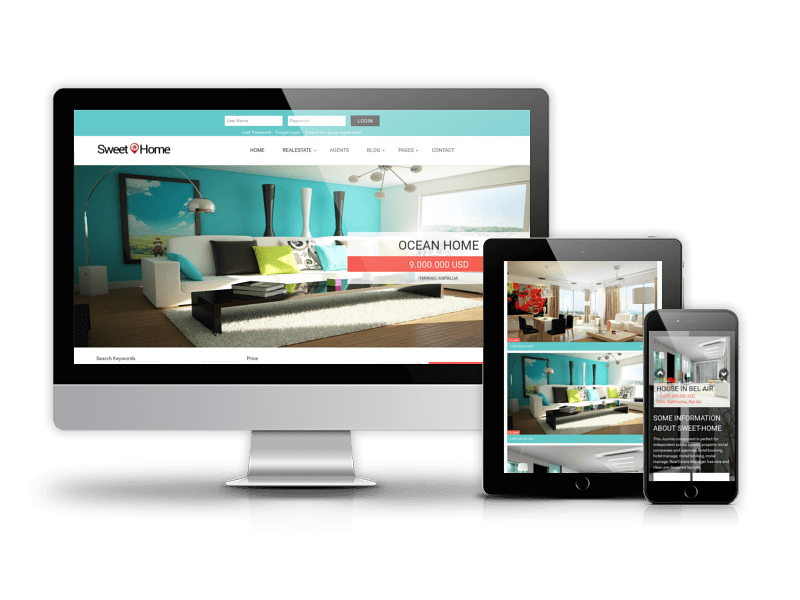 Let's see what sections are available in Eco House Joomla template. 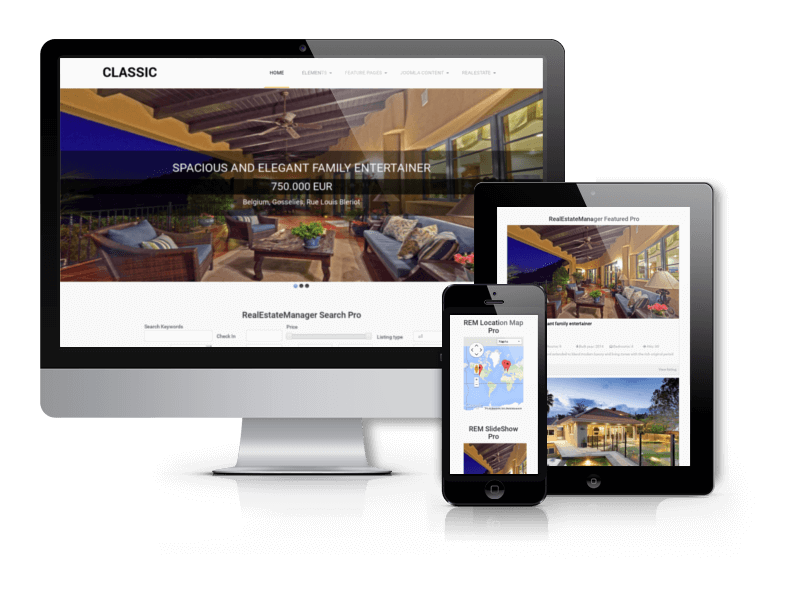 On the top there is an emphasis on the best houses that are presented using responsive Touch Slider. Touch Slider supports touch navigation, so you can be sure that your customers will get best experience of Joomla responsive slideshow on a touch-enabled device (any smartphone or tablet). To engage viewers were used a catchy motto and vivid button. 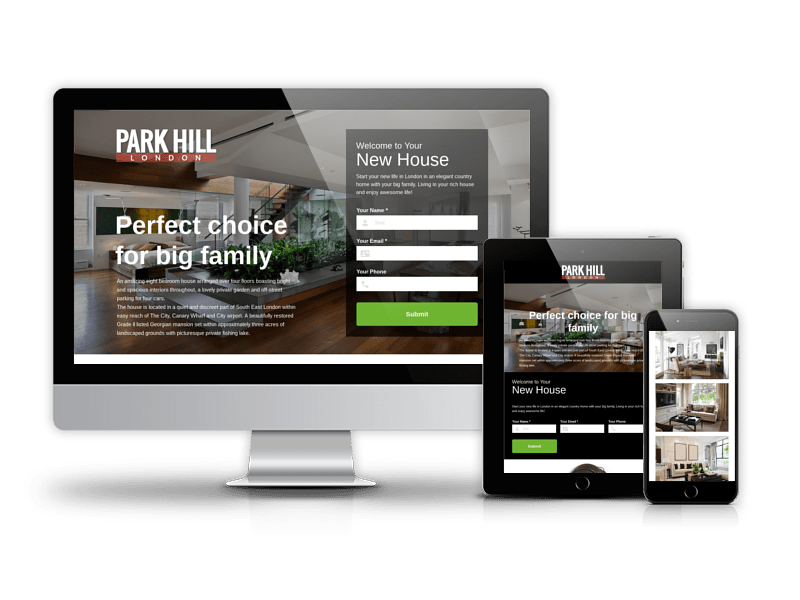 Responsive Joomla slideshow is extremely important for property listing website, because website owners could charge money for displaying featured houses on the top. Recently updated Real Estate Manager comes with elaborate design for each view and layout. You can be sure that you will display the list of your properties for selling and buying in professional way. Admins and agents can add description of property, add photos, check amenities, mark property on the map, add property details, upload eDocuments and more. 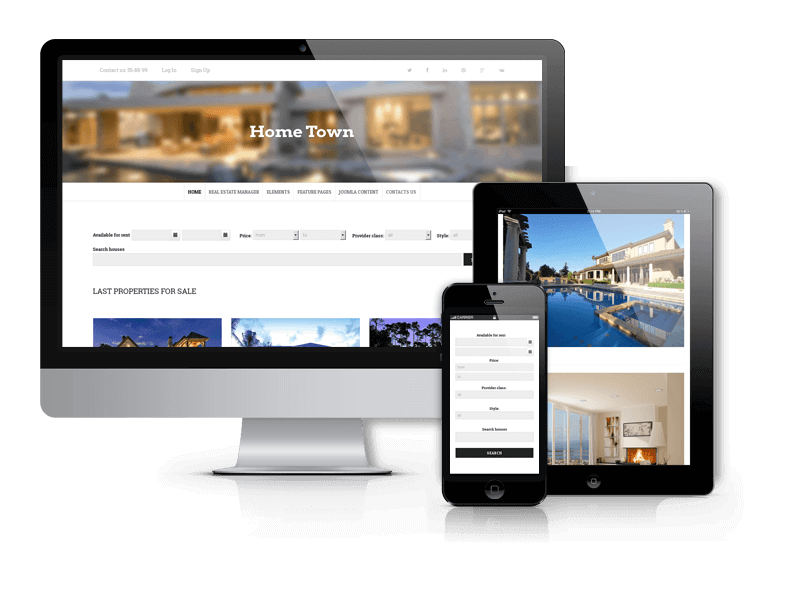 You can easily create real estate portal with Eco House Joomla real estate template. There are agent login and register, front end property submit & edit, agents profiles. Also you have an ability to charge a fee from the agent for the right to add a certain number of houses and upload a certain number of photos, so you can monetize your website. Featured module for Real Estate Manager displays the properties from Real Estate Manager by set parameters - last added, popular, top. On the bottom of Eco House template you can find subscription form, contact form and social icons. Stay in touch with your clients using well-designed contact form, your social profiles and via emails, which you can gather using subscription form. Due to Joomla Blank template, Eco House comes with a wealth of module positions to place your content exactly where you want it. 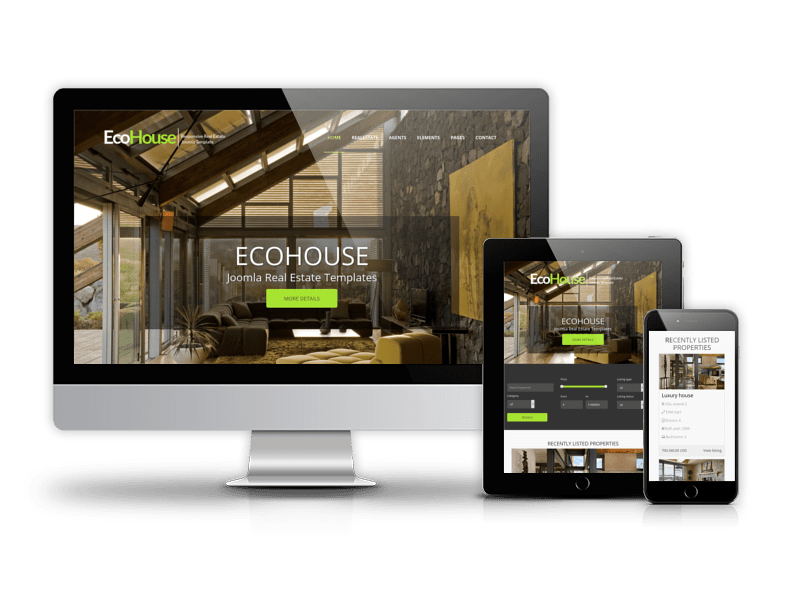 Eco House Joomla template fully compatible with all browsers: Chrome, Firefox, Safari, Opera and Internet Explorer 9+.